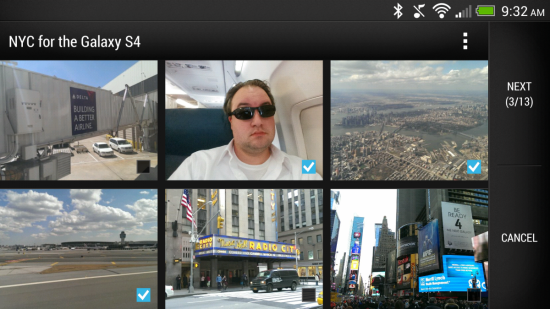 One of the most important -- and impressive -- features of the HTC One is, of course, the camera. We're not going to dive into the whole "UltraPixel" thing here, nor is this a review of camera quality. We'll worry about how the sausage is made later. 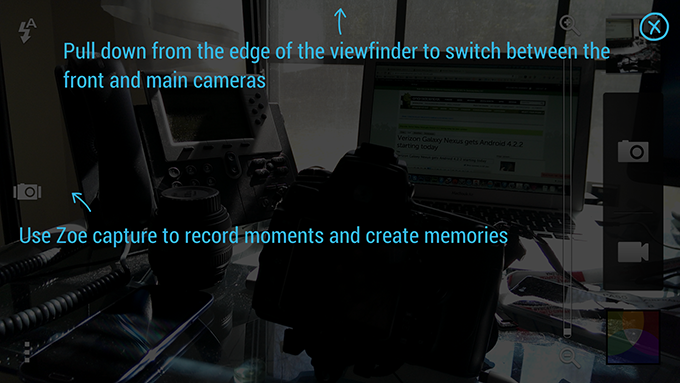 Right now it's time to learn a few important terms when it comes to the HTC One camera. 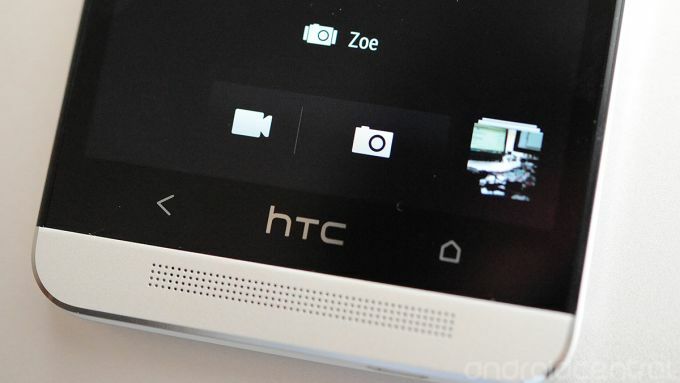 When it comes to the new features in the HTC One Camera, you'll be hearing a lot about Zoes (pronounced zoh-ee, as in Zoetrope) and Video Highlights. Zoes can stand on their own, or they can be part of a Video Highlight. Still shots and videos have sort of morphed together in the past year or so. Smartphone cameras can now grab a single frame from video, and HTC's taken that a step further with what it calls a "Zoe." Taking a Zoe picture isn't really any different than taking a regular still picture. The only difference is you have to press the Zoe button first, and hold the camera toward the intended shot a little longer -- about three seconds. You get the hang of it easily enough. Pro tip: Look for the shutter button to turn into a sort of progress bar when you're shooting a Zoe. It turns red as you're recording. What can I do with a Zoe? Three-second clips aren't quite as useful individually as, say, a 6-second Vine. But Zoes have some neat tricks up their sleeves. First off, you can share them just like you would any other picture or video. A Zoe technically is just an .mp4 file (and the individual jpegs), so you can e-mail it, upload it -- anything you can do with any other .mp4 video. A little more useful is if you upload it to the HTC Zoe Share service. (Even more useful than that is when you upload more than one Zoe.) By doing that you get a public link that's good for 180 days that basically gives you a web gallery of your little 3-second pictures. Here's an example. Viewing a Zoe on your phone, you also can scrub through and select one of the 19 individual frames, then edit that single frame (cropping, filter, etc.) and share it the same way you would any other picture, be it with e-mail, Facebook, Google+ -- whatever. Standard stuff, actually. This may be the coolest feature on the HTC One. The gist is that the HTC One will take a gander at the still pictures, Zoes and videos you've taken and automatically make a highlights video out of them, complete with background music and filter effects. 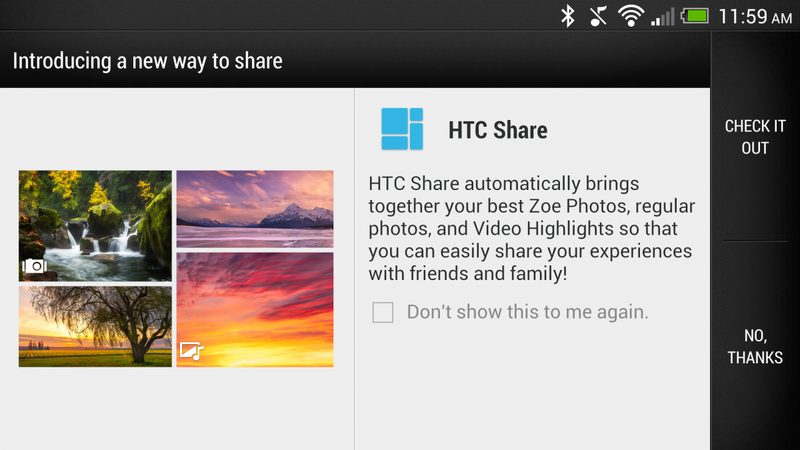 The Highlight Videos are standard .mp4 files as well, so you can share them in any of the normal ways, including the new HTC Zoe Share. There's also a discrete option to save the Highlight Video if you want to transfer it off the phone some other way. HTC's using some sort of black magic -- algorithm, they tell us -- to figure out which photos and videos go together for highlight purposes. Date and time come into play, as does location (if geotagging is turned on). It does pretty well with this, but it's also pretty aggressive in that there's no way to tell the HTC One not to make a Highlight Video. If you have a habit of taking a couple pictures of the same thing, just in case, they're going to get added. If you take a few shots with absolutely no intention of using them as a Highlight Video, well, too bad. You're getting a Highlight Video. We don't normally worry too much about storage space, but these things can start to add up over time. It's a pretty awesome way to create a quick montage of people and places and things. Pro tip: The more images and Zoes you use for a Highlight Video, the better it'll be. Unscientifically, we get the feeling that it defaults to repeating still images if there aren't enough Zoes to pull from, and that gets old pretty quick. We mentioned that there's (as of this writing) no real way to keep the HTC One from creating a Highlight Video. But do at least have a little control over what goes in one. There are a couple ways to do that. Once a Video Highlight has been created, you can go back and choose which clips you want to be a part of it. Tap on the Highlight Video as if you were going to watch it. Then hit the overflow menu button (the three dots) in the top right and choose "Select content." Then you can choose which clips from that event you want to have in the Highlight Video. Another way to control what gets used in a Highlight Video is to copy pictures to a new album. You'll need to be in the "Album" view in the gallery (not the "Events" view). Choose the album you want to copy pictures from and tap it to open. 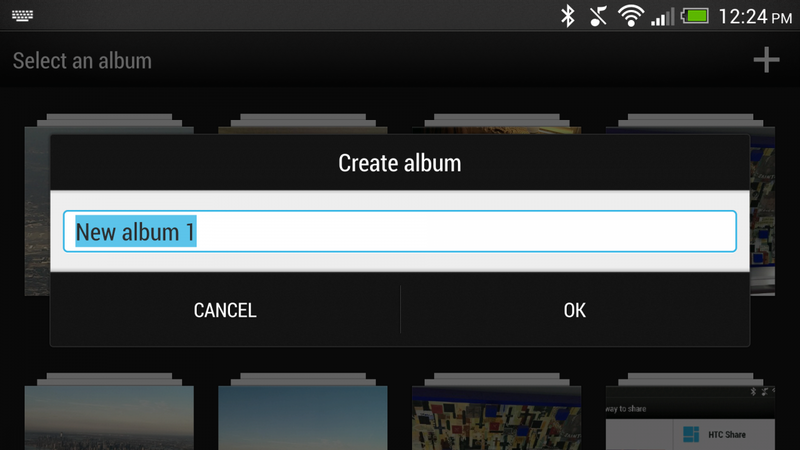 (Most likely it'll be "Camera shots," but you can choose from any album.) Then hit the overflow menu (again, the three dots in the top right) and choose "Copy to." Now you'll select which images you want to copy. Do that, hit "Next", and then hit the plus sign in the top right to make a new album. Now you'll get a Highlight Video with only the images you copied over. Zoes and Video Highlights are a lot of fun, and the principle is simple enough. Zoes are 3-second video clips. Moving pictures, even. Video Highlights are automatically made up of still pictures and Zoes and full video clips. "How do I make a Zoe?" Answer: "Tap the Zoe button, then the shutter button. Now you have a 3-second Zoe." "No, I don't mean that. I mean the thing with the music and the effects. That's not a Zoe?" No. It's not a Zoe. It's a Video Highlight. Our other issue is that there's absolutely no top-level experience for Zoe or Video Highlights. Zoes at least get mentioned in the Quick Tips you see the first time you launch a new big feature. You're left to your own devices to figure out Video Highlights. And that's too bad, as it's too good a feature to be buried like that. Then there's HTC Zoe Share. Again, a cool new service from HTC, but it's very much a work in progress (which HTC itself will tell you). Uploading to Zoe Share is easy enough. But the links it creates are only good for 180 days. So wherever you link to it from will have dead links in six months. And dead links are bad. Moreover, there's currently no way to see all the Zoe Share posts from a single user. You have to know the link of the Zoe Share post to see it. That's poor discoverability. You can delete a Zoe Share post if you squint and hunt and find the "Click here to manage your Zoe Share" link at the bottom left of the page. We'd also like to see more fine-tuning with geotagging. It works just fine, but maybe too well. We like being able to Geotag pictures, but we need more control. 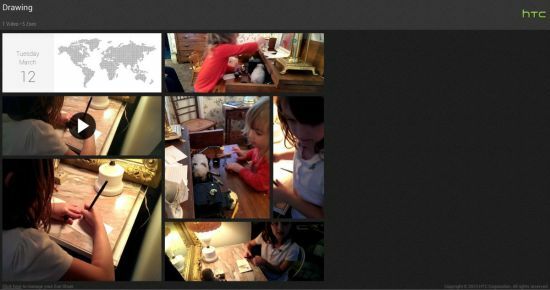 For instance: I had a Zoe Share post with four images from one location, and a single image from another location -- my home. Guess whose house suddenly was pointed out on the Zoe Share post? We'd love to see an option to remove geotagging from the Zoe Share side. But overall, HTC's done good with Zoe, and with Video Highlights. They're two great features on a phone full of great features. But (if the length of this post is any indication), they take some explaining, and smartphone users have notoriously short attention spans. HTC has a little work to do on the features, and we have no doubt Zoes and Video Highlights will only get better.